Students fit the pipe cleaner along the hair, then straightened it onto their rulers to find the measurement of the Party. The Business was usually pretty straight. 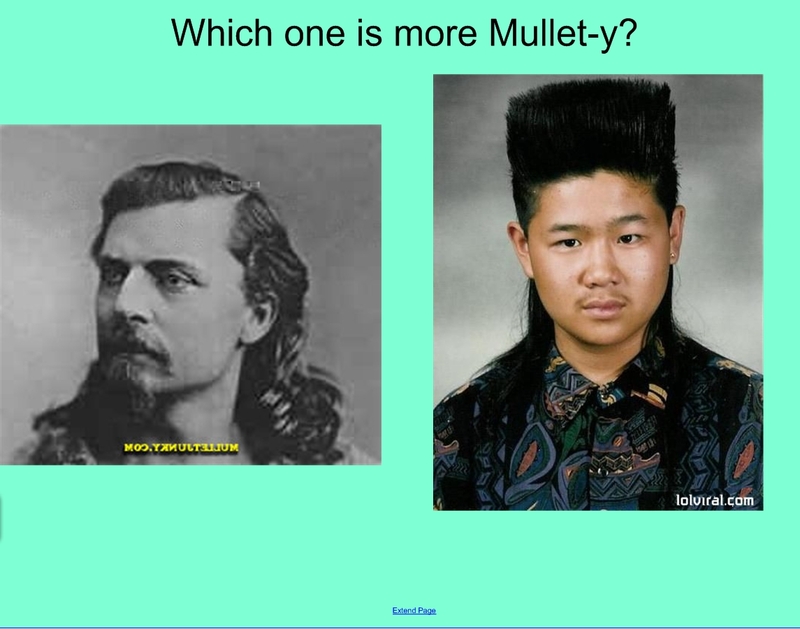 He begins the experience with intuition, the lowest rung on the ladder of abstraction, asking students to decide using nothing more than their gut “which one is more mullet-y?” By the end, they’ve named variables and defined operations, fully abstracting the context. Math has given a language to their intuition. 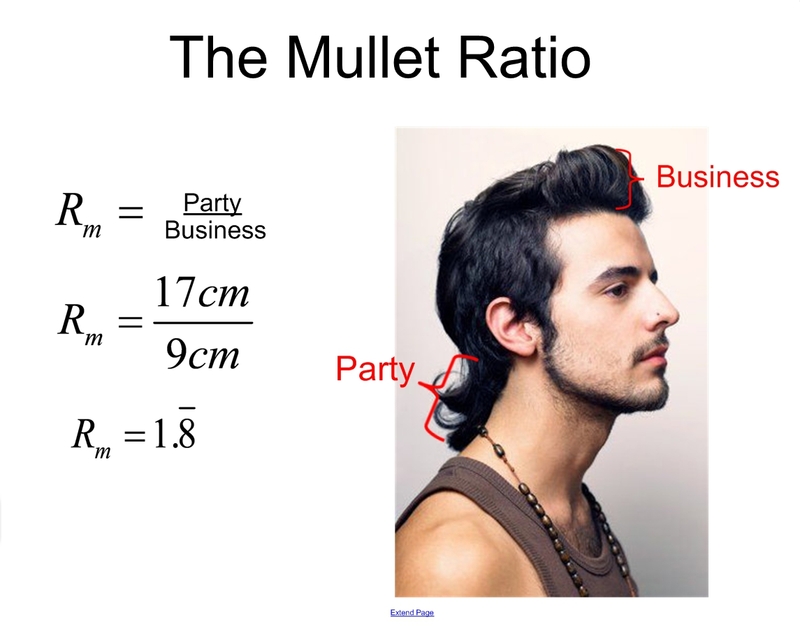 He asks the students to generalize the ratio to their own haircuts, in addition to several other higher-level extension questions. You’re looking at an activity with a low bar for entry and a high bar for exit right here. He cut his own hair into a mullet for the occasion. That’s commitment, and gross. Why gross? I used to have a “mullet” hairstyle. I liked it, but I hated this strange name it got. I like the written activity very much for helping to develop an intuitive idea of what a ratio means, but I think the students should be pushed a little bit further to check how much intuition they have built – and maybe they were through class discussion, etc. The author indicated that the kids were sort of headed towards this anyway by fabricating measurements that create high ratios, but that is much easier than shooting for something more specific than a big ratio. Thank you for another example of a lesson with an all-access beginning and opportunities for students to take it as far as they can. It’s posts like these that make me want to get back in the classroom, if only to do this lesson! And, sadly yes, I could use one of my own high school pictures as an example.